Alaska Native News Nov 7, 2018. After a 17-hour standoff, the suspect on Ponderosa Drive was taken into custody at 9:41 am on Tuesday morning, APD reported. 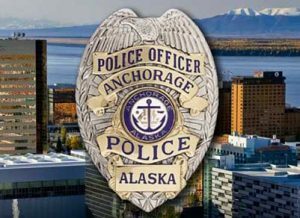 APD responded to the residence on Ponderosa Drive at approximately 4:30 pm on Monday after receiving information that 49-year-old Kevin J. Hurley was the subject of a drug-related extraditable warrant out of the state of Idaho and was at that residence. Hurley ignored commands to exit the residence and made suicide and suicide by police threats and SWAT was brought in to resolve the standoff. APD evacuated the apartment building and blocked off Ponderosa Drive which is a dead end street. SWAT was called away from the scene to tend to another standoff on Shrub Court just over two hours later, but returned to the location after the subject in the Shrub Court incident was found deceased in the early morning hours of Tuesday. Just before 10 am SWAT deployed gas into the apartment and Hurley exited the apartment and was taken into custody. APD says that in addition to the extraditable warrant, Hurley may be subject to further charges related to the standoff.